NOWAMOM - Pirate and Princess Party! Come join us for a fun morning at sparkles!! 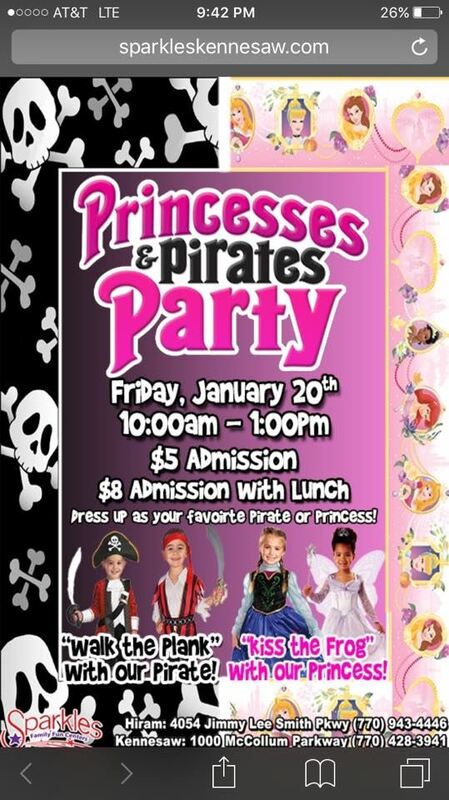 Come dressed as your favorite pirate or princess. Bring your favorite ride on toy to ride around on the floor! Training skates are free to rent and there is an indoor playplace area as well. Good for ages 2 and up.